The GLF032-01 Green Rescue Laser Flare® is a hand-held day and nighttime laser signaling device that provides a convenient, effective way to signal a rescue party. Its waterproof, rugged design combines the safety of a laser signaling device with the convenience of a flashlight. Brilliant green light makes it the most visible of the three models and the preferred style of Search and Rescue (SAR) professionals. New Lower Price AND Includes a FREE Holster! 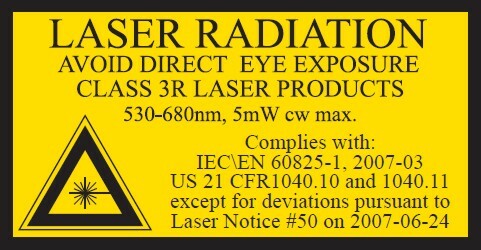 Greatland Laser, LLC (Greatland) warrants to the original registered owner that this product is free from defects in parts and workmanship for180 days from the date of purchase. To qualify for this warranty you must complete and return to Greatland the printed warranty registration form. Greatland or an authorized Greatland service provider will repair the product or, at its option, replace a defective Rescue Laser or any component thereof free of charge. This warranty is in lieu of all other warranties and conditions, express or implied. There was a battery in it. It came on. It was green. Read the instructions and turned it back on. Then turned it off and turned the cap a full turn from off. Have not needed rescue or signalling. Range has not been tested. Change the battery every Christmas. fantastic tool for its intended purpose. The size and power of this search and rescue laser makes it an excellent tool to be included in all emergency aviation pack. Excellent product I hope I never need. This is a safety equipment which will live on my boat, with the wish I will never need to use, looks like a very good quality that will last in marine enviarment for many years, with the confidence that if I need to use it, it will work.